Scania trucks are considered to be one of the best trucks in the world, maybe even the best. Used Scania Trucks are perhaps the most reliable you will ever find. They are equipped with exceptionally strong engines and perfect transmission. There is so much added value for your logistic business when you purchase a used Scania tractorhead. Whether it’s for international long-haul transport, short distance rides or use on building sites; there is always a used Scania truck for you. 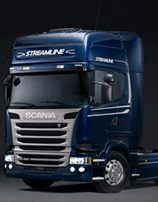 Take a look at our Scania stock and let yourself be amazed about the power of this great Swedish truck brand. 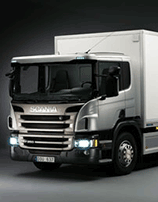 Used Scania trucks are being offered in many price classes. Maybe you are looking for an old Scania tractorhead or a newer one, we all have it for you. And as you know: every vehicle has its own story. If you see a used Scania truck that you like, do not hesitate to call us or leave your contact details behind. Our sales people will be pleased to tell more about the Scania truck which you are interested in. Shipping to another country? No problem at all. Just let us know your wishes and our special Shipping department will offer you a very profitable shipping solution for your used Scania truck order. New Scania trucks are also sold by BAS Trucks. These trucks are still low-priced, but of course they cost more than used trucks. Sometimes the price of a new Scania truck is just a little bit above your budget. For this problem we found a solution too: leasing. Are you interested in a new Scania truck, but is the price a little bit too high? Let us know. We have very profitable leasing programs for all of our trucks. Our leasing department will be happy to provide you with a good offer. Questions about purchasing a truck? The Scania R is the long-distance tractorhead of Scania. It has a very high cabin which provides a lot of comfort to the driver. The truck is available in many options and configurations. It has won the International Truck of the Year award for several times already. It’s strong exterior styling makes it an impressive sight on the road. The Scania R meets the highest demands in the world regarding fuel economy. The Scania P is a typical lightweight, manoeuvrable and fuel-efficient truck for many purposes, like construction, regional and local distribution. Besides reduced weight and extra payload space, the shorter cabin is perfectly suited to congested urban streets and hectic construction sites. It allows for optimal axle placement, when a tight turning radius is necessary. The Scania P truck will never let your business down.